Shipping - $9.95 This item does not qualify for our Simple Shipping program. Get the most out of your BBQ grill with Weber Original accessories that are a must-have for every backyard cookout. 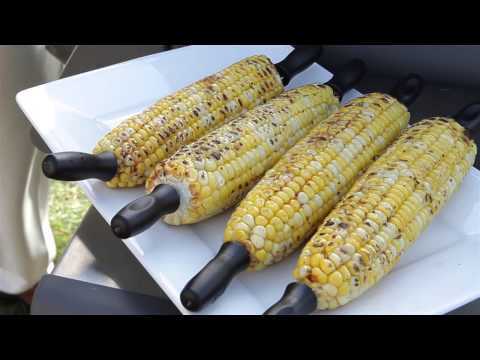 Fresh cooked corn can be difficult to handle, so make sure you have these corn picks for your next cookout. This 8-piece set holds up to four ears of corn and has a nylon grip with a thumb grove for secure handling. The picks are also dishwasher safe for easy cleanup. The picks also interlock to allow for optimized storage in the included clear plastic case.